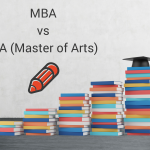 The question of a MBA (or Master’s in Business Administration) vs. an MS (Master of Science) degree comes down to breadth versus depth. An MBA degree offers a broader view of business management. On the other hand, an MS degree focuses on a single specialty, such as IT, HR or accounting, and is therefore suitable for those who have a clear idea about their career path. 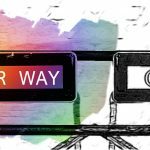 If you’re not completely sure of your career path, with an MBA you’ll be exposed to multiple disciplines, enabling you to make changes later in your career. Both degrees deal with different fields. 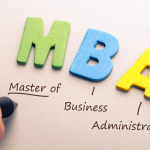 An MBA is a master’s degree specific to the world of business, especially its management side. The course includes various fields of business, such as business organization, operations, and management, together with specific aspects like marketing, accounting, resources, and information systems. It offers formal managerial training for business-oriented people. Many people who enroll in this kind of degree are experienced businesspeople, entrepreneurs or potential entrepreneurs. The degree doesn’t involve specific research but aims to produce businesspeople with developed skills to contribute favorable results to the business. On the other hand, a Master’s of Science is a general term for various degrees that involve a specialization or a particular field of study. There are different MS degrees for different disciplines, with each focusing on a particular discipline. An MS in a specific discipline doesn’t necessarily require an undergraduate degree in the same discipline. MS degrees have a research approach and require in-depth research in order to complete the degree. MS degree holders are usually specialists, and are expected to produce an innovation in their area of study. 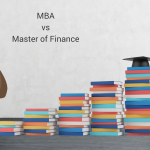 Some graduates deliberate whether to do an MBA or an MS in Business. An MS in Business is more theoretical or math-based, and offers greater depth of a specific subject. Business MS programs are usually smaller and offer less flexibility in terms of courses and schedules. Many MS degree programs are designed to prepare students for specific certifications or exams, while an MBA won’t necessarily focus on the specifics of certification exams.